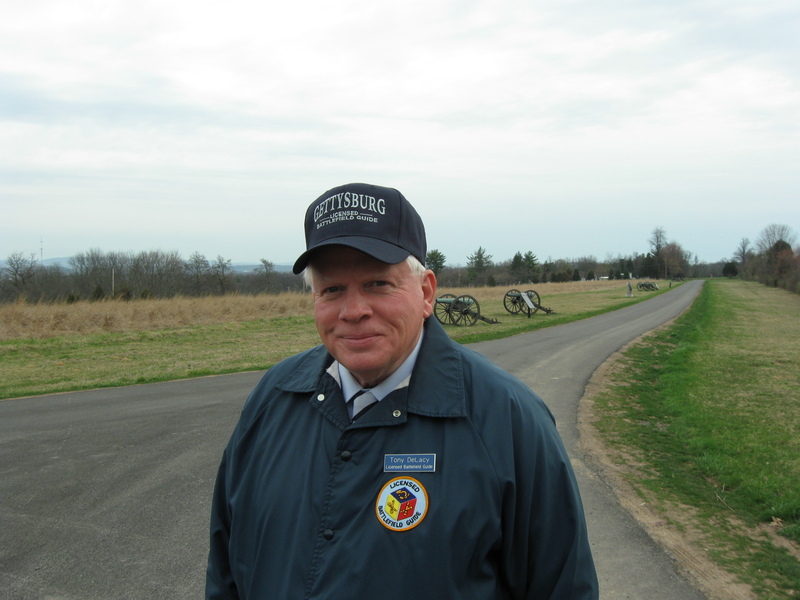 Gettysburg Licensed Battlefield Guide Tony DeLacy is our host for our Benner’s Hill series. 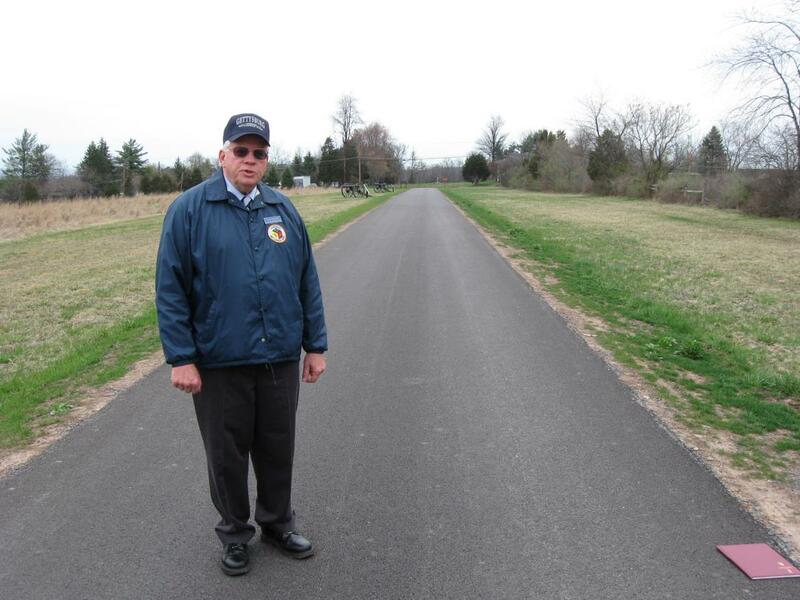 Tony came to Gettysburg from the Philadelphia area, and has been a Licensed Battlefield Guide since 2004. This view was taken facing northwest at approximately 9:00 AM on Friday, April 10, 2009. 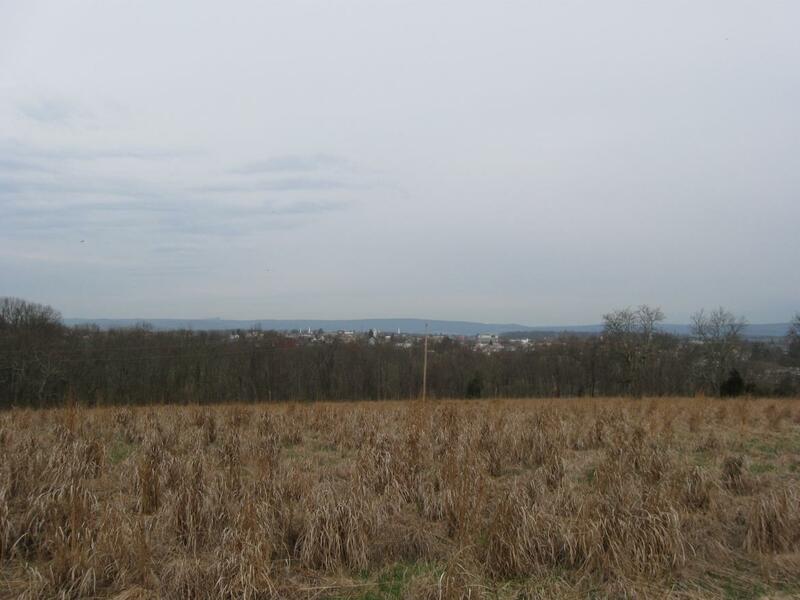 Benner’s Hill is a spot in Gettysburg National Military Park not frequently visited by the average student of Gettysburg. 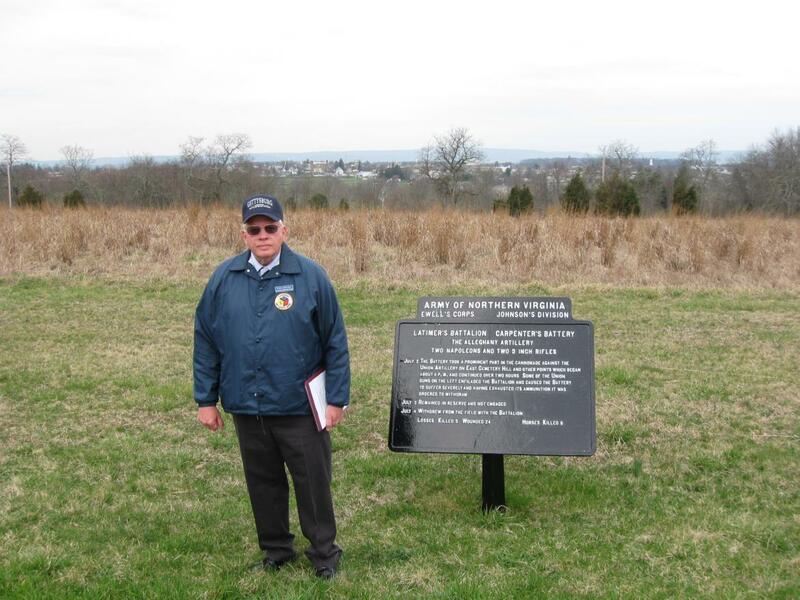 Gettysburg Licensed Battlefield Guide Tony DeLacy begins a series on the hill, and the action that occurred here on July 2, 1863. 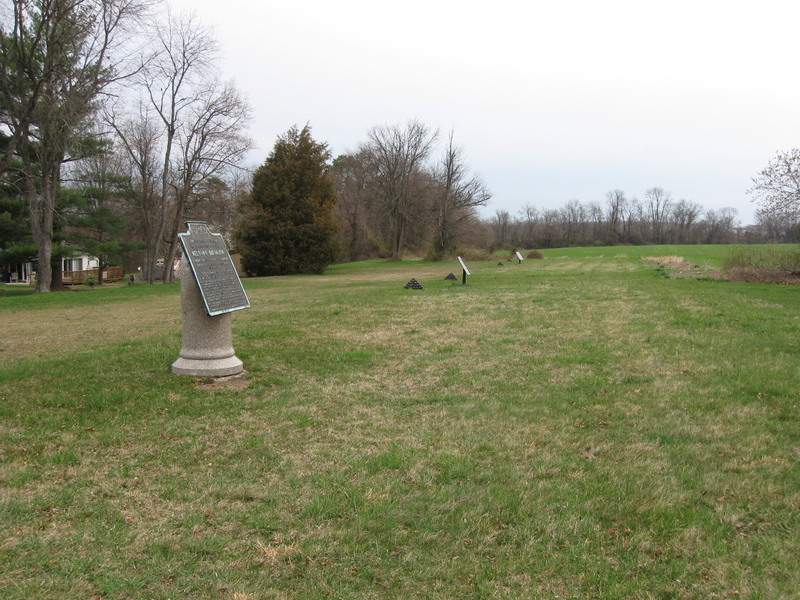 See our previous post on Benner’s Hill on April 8, 2008. This map shows the location of the videos that we shot for this post. 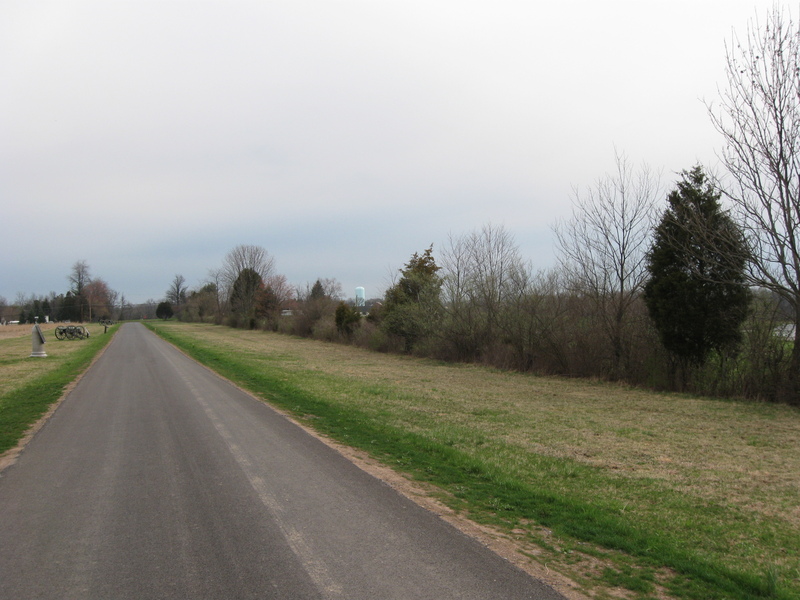 Video #1 was taken near the turnaround area at the south end of Benner’s Hill. Videos #2 and #3 were taken just north of the turnaround. This map was created facing east at approximately 8:30 AM on Sunday, April 19, 2009. 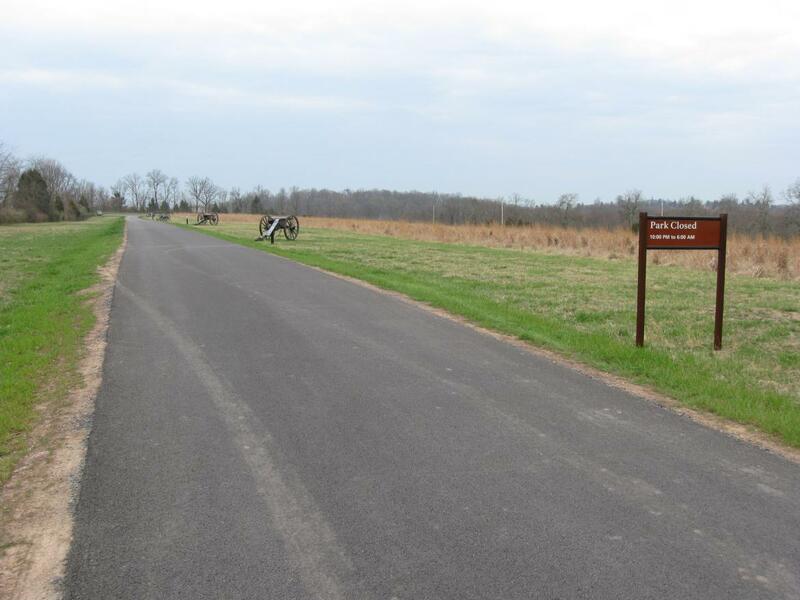 In Video #1, Gettysburg Licensed Battlefield Guide Tony DeLacy introduces himself, tells us what interested him about the Battle of Gettysburg before he became a guide, and what we will cover during the Benner’s Hill series. This view was taken facing northwest at approximately 9:00 AM on Friday, April 10, 2009. Tony DeLacy is standing by the marker to Carpenter’s Battery of Latimer’s Artillery Battalion. In the next video, he will be pointing out some landmarks one can see from here. This view was taken facing west at approximately 9:00 AM on Friday, April 10, 2009. In Video #2, Tony points out some areas that can be seen from near the Carpenter’s Battery marker. Unfortunately, the video part of our camera doesn’t work very well with the telephoto lens at this distance. It works a little better on our “still shots” as we will show you in the following photographs. This view was taken facing west at approximately 9:00 AM on Friday, April 10, 2009. 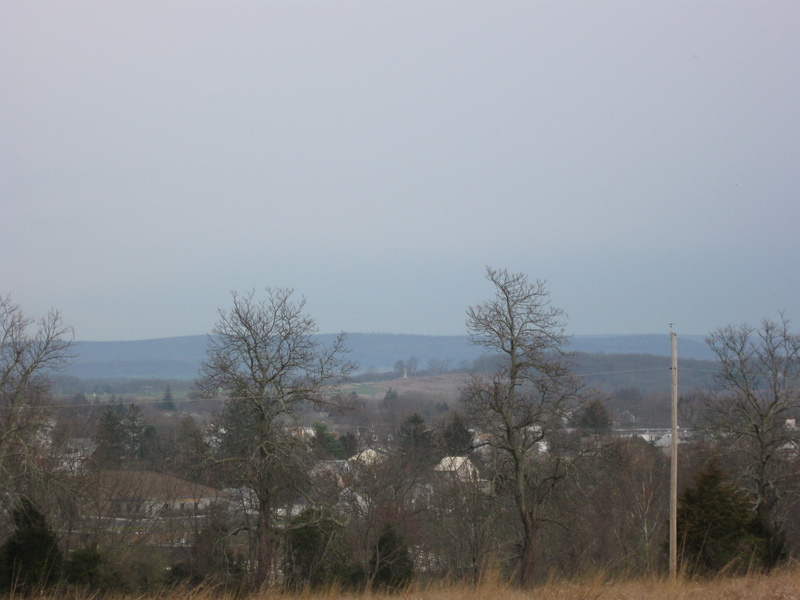 We’ll start our landmarks that you can see from Benner’s Hill section by starting to the northeast…This view was taken facing northeast at approximately 9:00 AM on Friday, April 10, 2009. 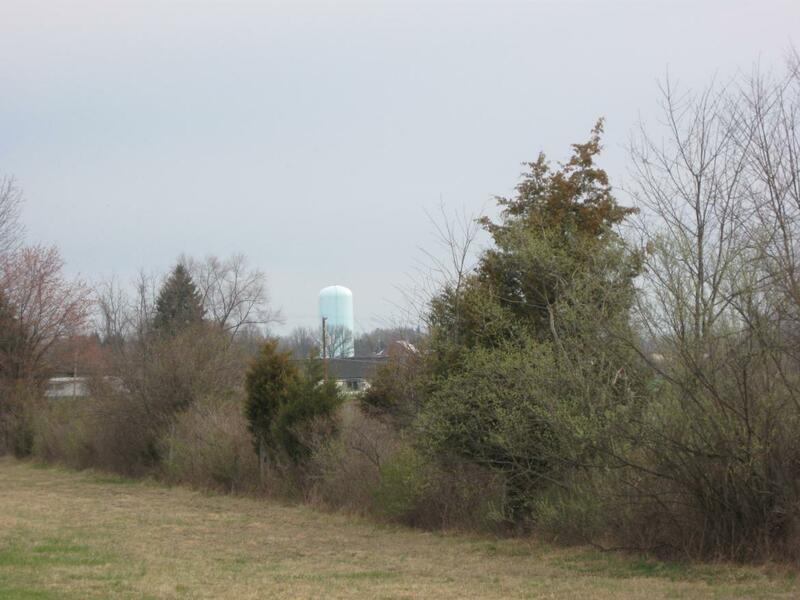 Here is the light green/light blue water tank on “Hospital Hill” or the Camp Letterman Hospital site. This view was taken facing northeast at approximately 9:00 AM on Friday, April 10, 2009. We are now looking northwest. To the left of the telephone pole in the middle distance… This view was taken facing northwest at approximately 9:00 AM on Friday, April 10, 2009. Is the cleared area of Oak Hill and the Eternal Light Peace Memorial (Peace Light). This view was taken facing northwest at approximately 9:00 AM on Friday, April 10, 2009. 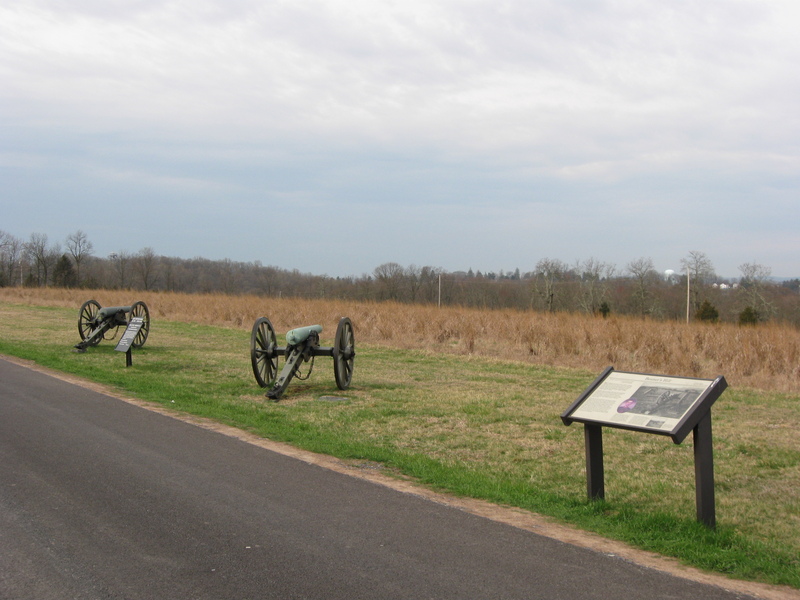 Above the marker to Dement’s Battery… This view was taken facing northwest at approximately 9:00 AM on Friday, April 10, 2009. One can see, to the right of the telephone pole, the white cupola on Pennsylvania Hall (1837) at Gettysburg College. This view was taken facing northwest at approximately 9:00 AM on Friday, April 10, 2009. Now some views from where Tony was showing us some landmarks in Video #2. This view was taken facing northwest at approximately 9:00 AM on Friday, April 10, 2009. 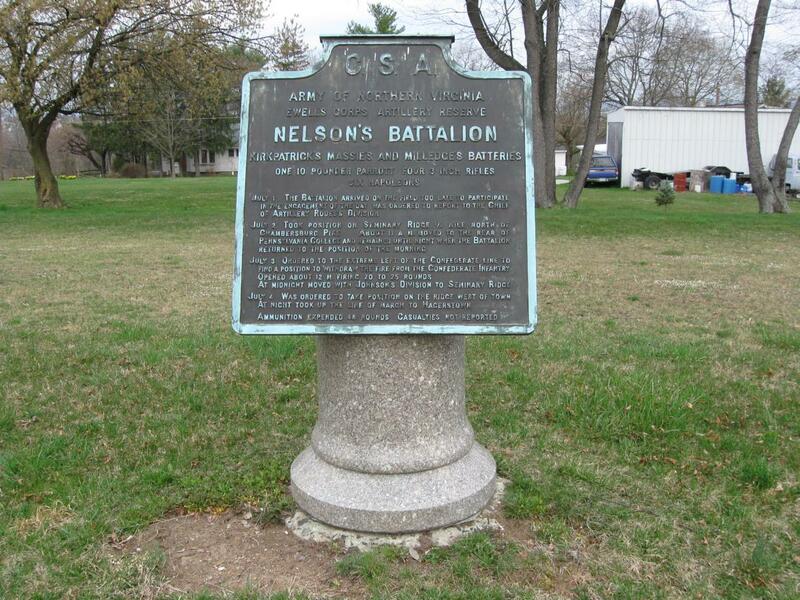 On the far right, the long, tan, rectangular structure is the Gettysburg Hotel on the town square/circle/Diamond/Lincoln Square. 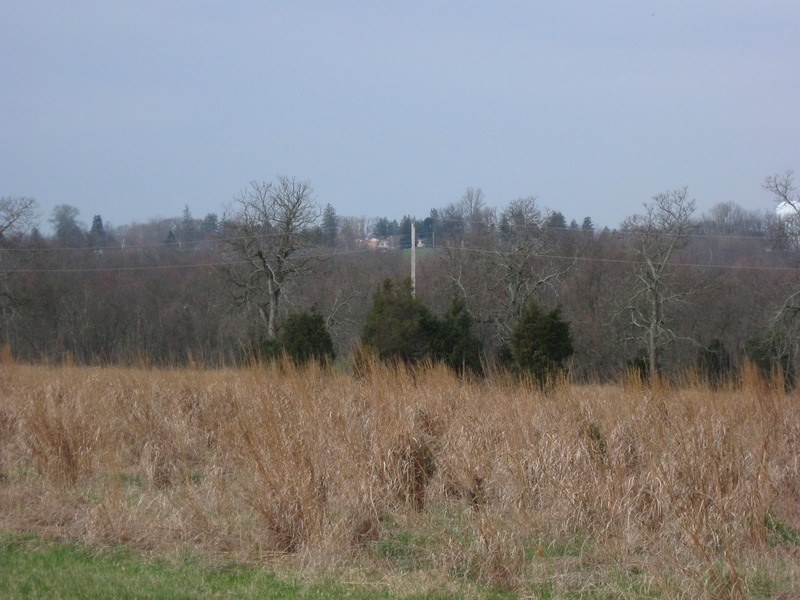 To the left of the telephone pole in the middle distance is the white steeple on the 1942 Christ Chapel at the Lutheran Theological Seminary. To its left is barely visible the white cupola on the 1832 Schmucker Hall at the Lutheran Theological Seminary on Seminary Ridge. To its left is the mostly white and a little bit of red cupola on the 1859 Adams County Courthouse on Baltimore Street. Note the yellow building. Above it is the red brick Trinity United Church of Christ, which in 1863 was the German Reformed Church, or the Trinity Reformed Church (built 1851, remodeled 1892) on East High Street. This view was taken facing northwest at approximately 9:00 AM on Friday, April 10, 2009. Here’s a slightly different view of the same area. To the left of the Trinity Reformed Church is thw white cupola of St. Francis Xavier Catholic Church on West High Street. This view was taken facing west at approximately 9:00 AM on Friday, April 10, 2009. Now we’ll turn to the southwest. 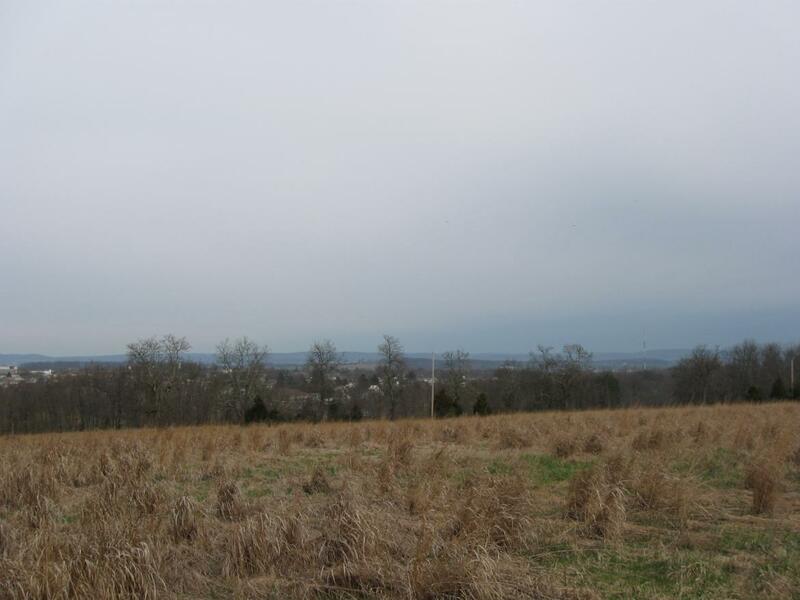 This view was taken facing southwest at approximately 9:00 AM on Friday, April 10, 2009. 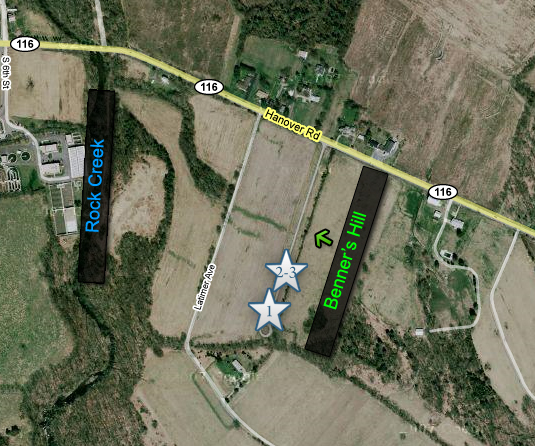 Above the Benner’s Hill wayside is the light green/light blue water tank on East Cemetery Hill. 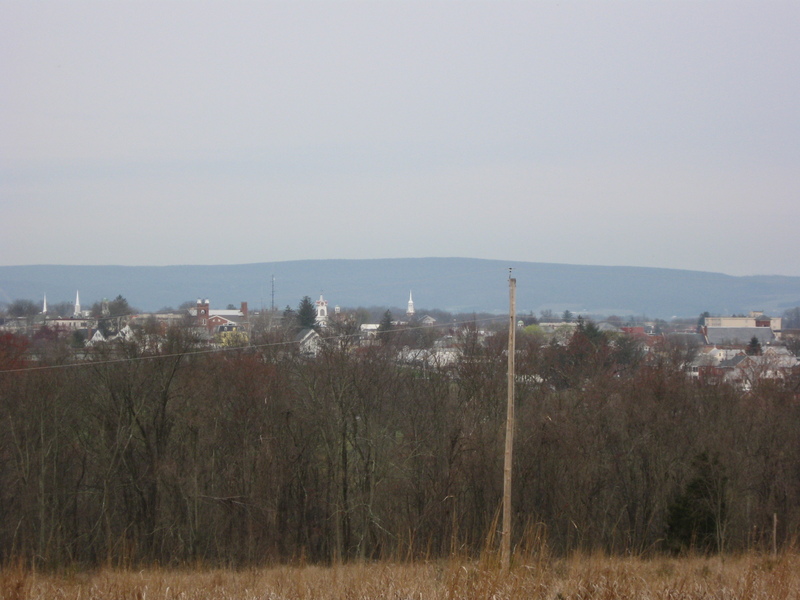 This view was taken facing southwest at approximately 9:00 AM on Friday, April 10, 2009. To the left of the water tank is just visible the red brick Evergreen Cemetery Gatehouse on Cemetery Hill. This view was taken facing southwest at approximately 9:00 AM on Friday, April 10, 2009. 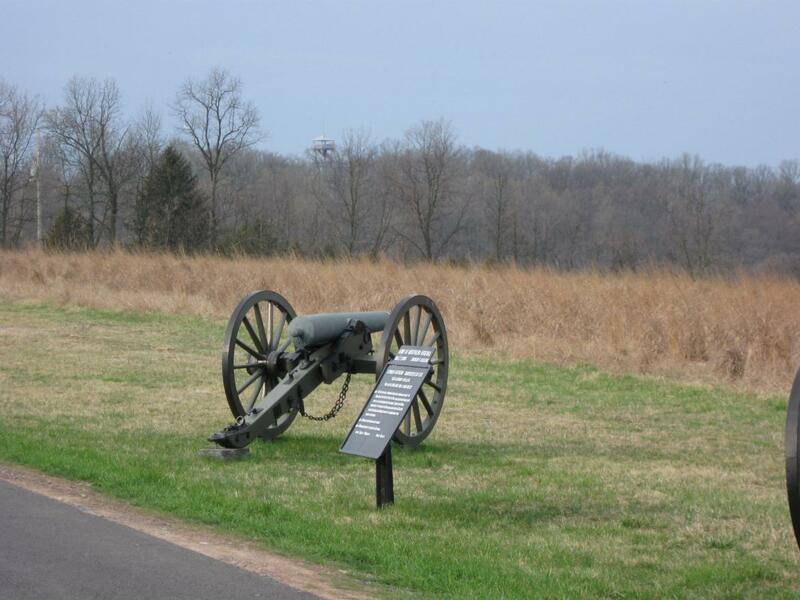 Above the marker for Carpenter’s Battery is the observation tower on Culp’s Hill. This view was taken facing southwest at approximately 9:00 AM on Friday, April 10, 2009. 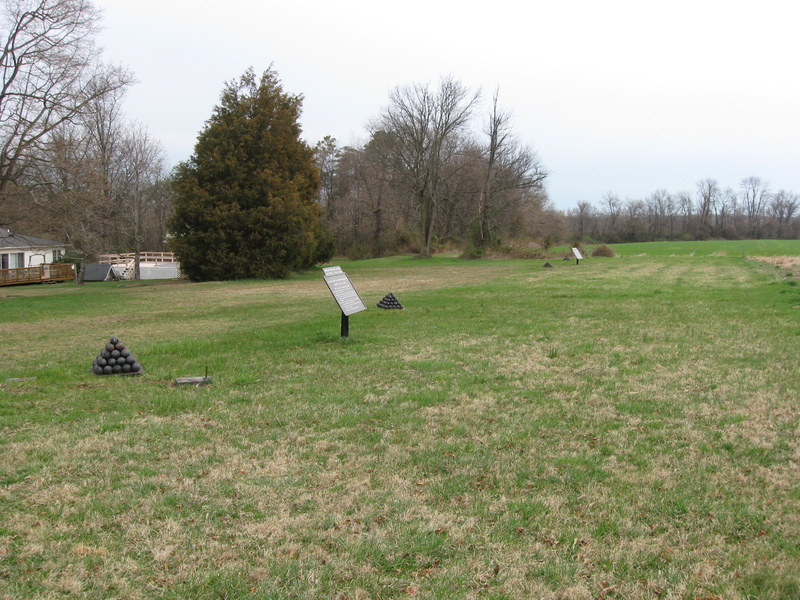 Of course, Benner’s Hill wasn’t only chosen as a Confederate artillery platform for its views. It was also chosen because of its topography. Tony will explain the topography in the next video. This view was taken facing north at approximately 9:00 AM on Friday, April 10, 2009. In Video #3, Tony shows us some of the topography of Benner’s Hill. This view was taken facing north to south to east to west at approximately 9:00 AM on Friday, April 10, 2009. We are near the Hanover Road looking at the south section of Benner’s Hill. This view was taken facing southwest at approximately 9:00 AM on Friday, April 10, 2009. 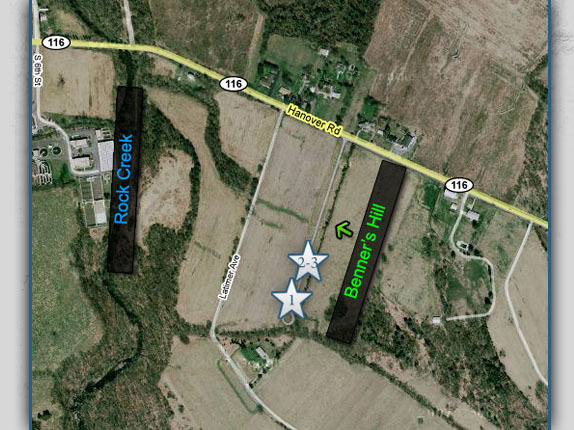 Many visitors to Benner’s Hill probably never cross the Hanover Road to go to the north side of Benner’s Hill, because the road is so busy, there’s not any parking on the north side of the Hanover Road, and many visitors don’t realize that there is anything to see on the north side. This view was taken facing southwest at approximately 9:00 AM on Friday, April 10, 2009. 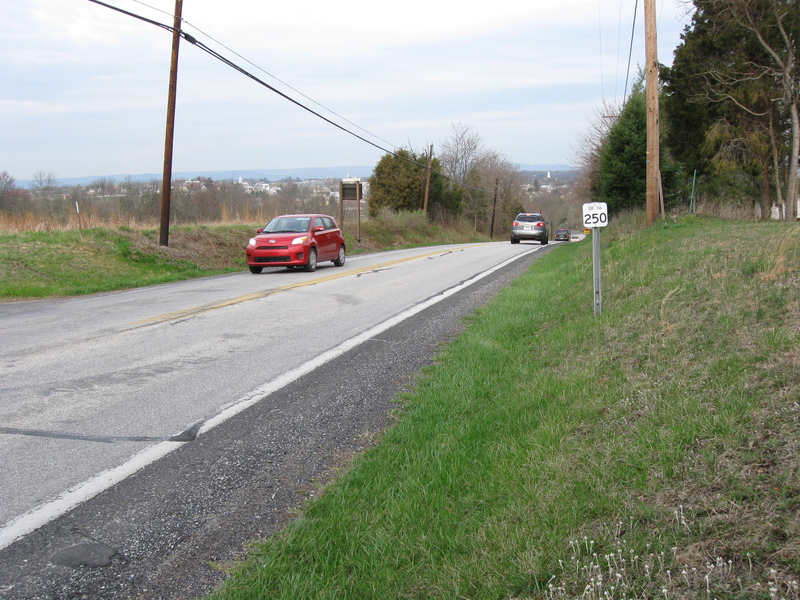 But when there is a break in the traffic, one can receive a good view of the steepness of this hill. 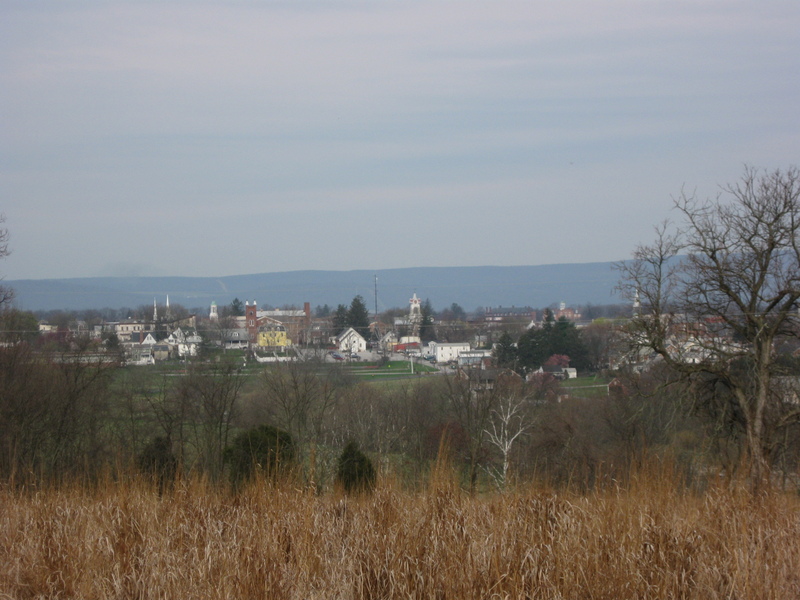 Here’s a view looking towards Hanover, Pennsylvania. This view was taken facing east at approximately 9:00 AM on Friday, April 10, 2009. Here’s the view looking towards Rock Creek at the bottom of the hill, and to Gettysburg beyond Rock Creek. This view was taken facing west at approximately 9:00 AM on Friday, April 10, 2009. But there are some interesting things to see. Unfortunately all the cannon that have been here in the past are in the cannon shop. This view was taken facing northwest at approximately 9:00 AM on Friday, April 10, 2009. 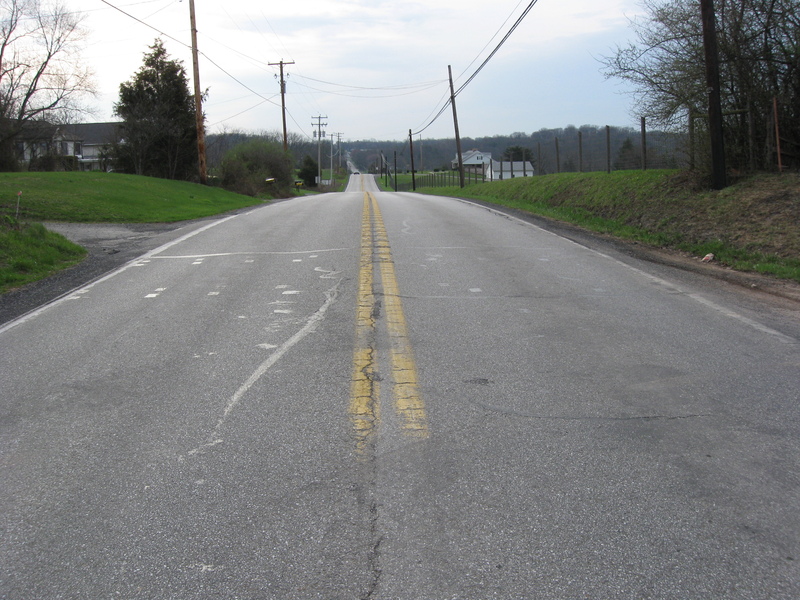 Of course there are plaques/markers on the north side of the Hanover Road… This view was taken facing west at approximately 9:00 AM on Friday, April 10, 2009. What really interests us are the stacks of cannonballs. This view was taken facing northwest at approximately 9:00 AM on Friday, April 10, 2009. 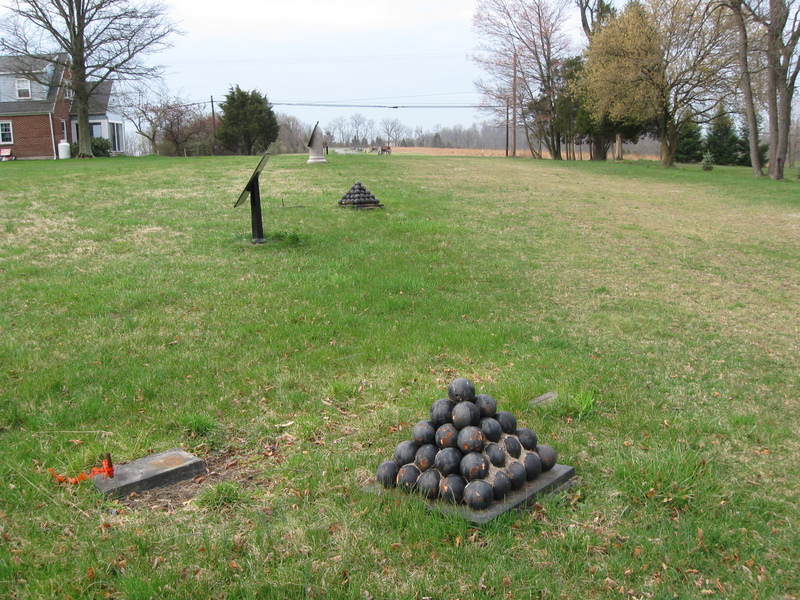 This is the only place at Gettysburg National Military Park, outside of the High Water Mark, where we can recall that stacks of artillery projectiles are still displayed on the field. This view was taken facing west at approximately 9:00 AM on Friday, April 10, 2009. 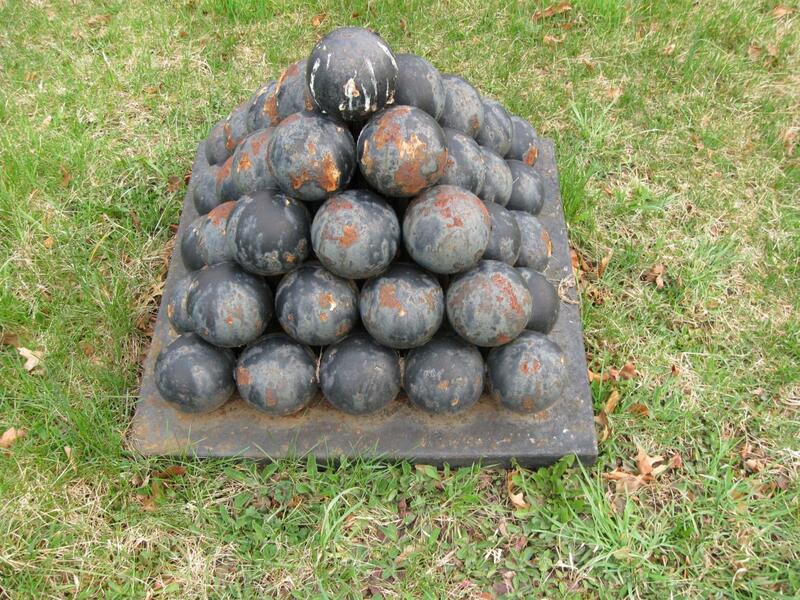 They aren’t solid stacks of cannon balls. This view was taken facing north at approximately 9:00 AM on Friday, April 10, 2009. 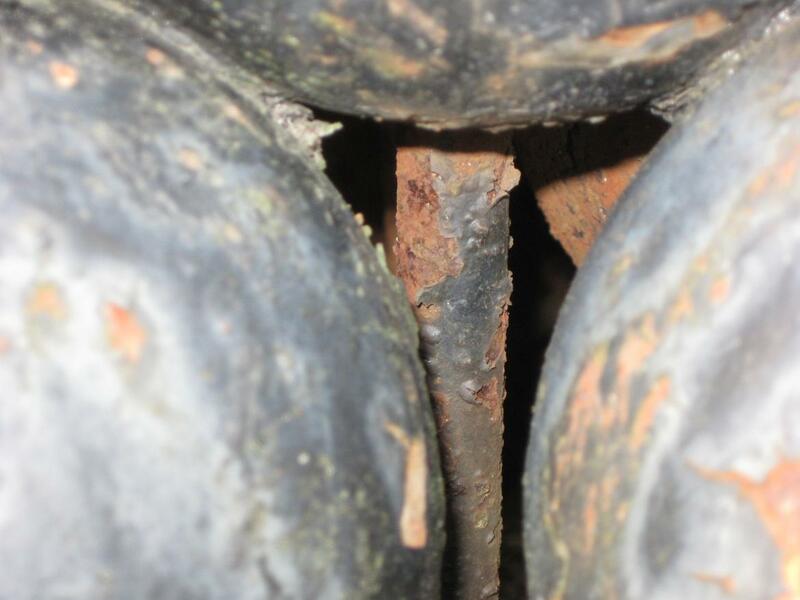 They are hollow with iron rods holding them up. This view was taken facing north at approximately 9:00 AM on Friday, April 10, 2009. 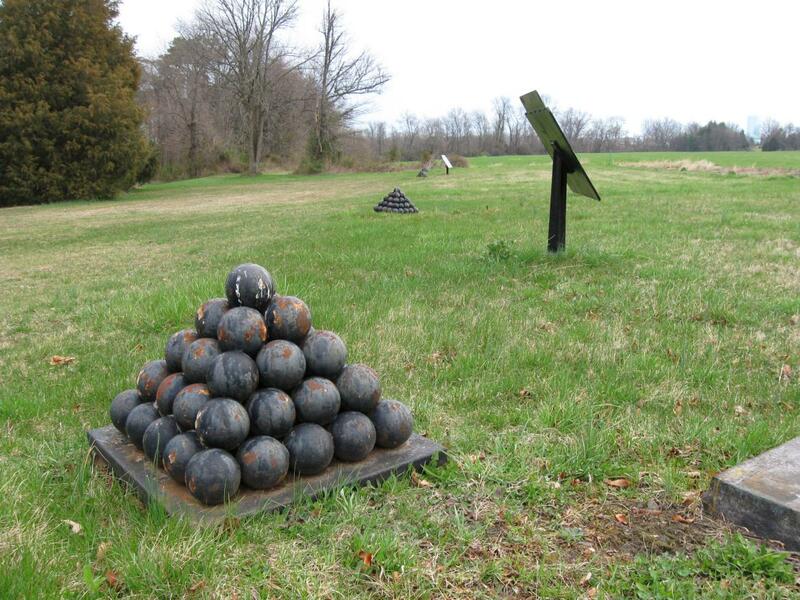 In case you were wondering like us, why there would be cannon balls on display instead of projectiles for rifled guns (there were smoothbore Napoleons here). 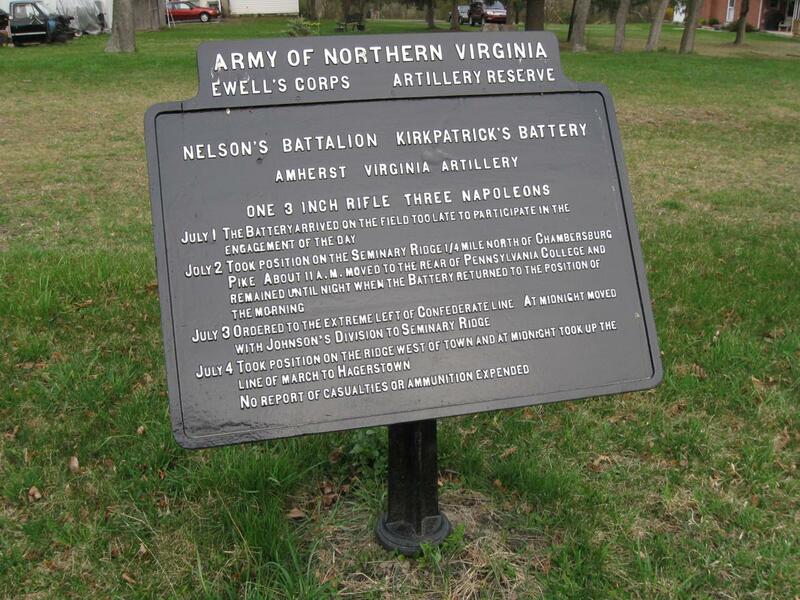 We doubt they would have been very effective in counter battery fire in this area. This view was taken facing west at approximately 9:00 AM on Friday, April 10, 2009. 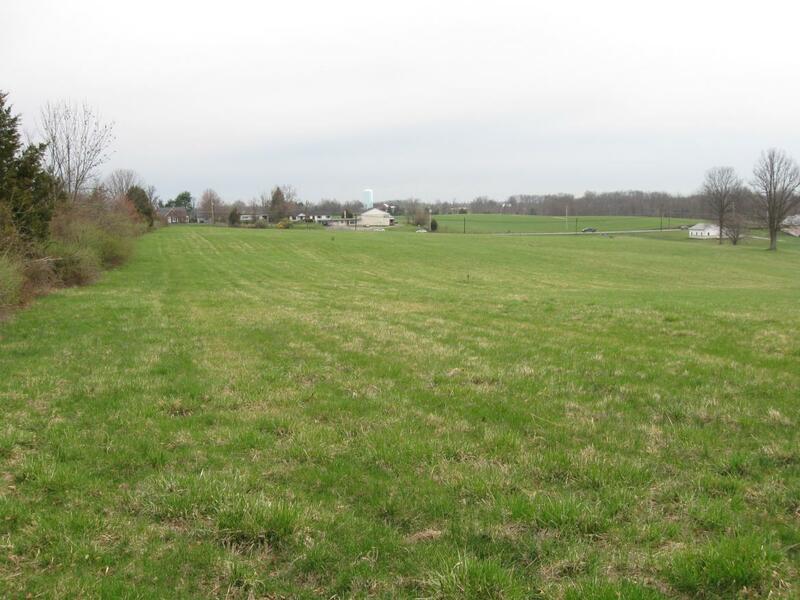 We just want to go to the other (south) side of the Hanover road to show you another topographical feature that Tony pointed out in Video #3. 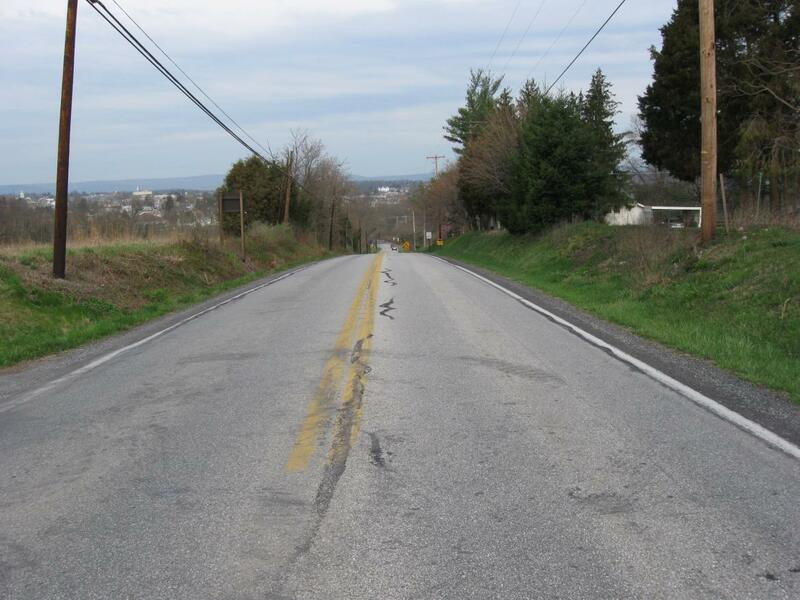 This view was taken facing south at approximately 9:00 AM on Friday, April 10, 2009. 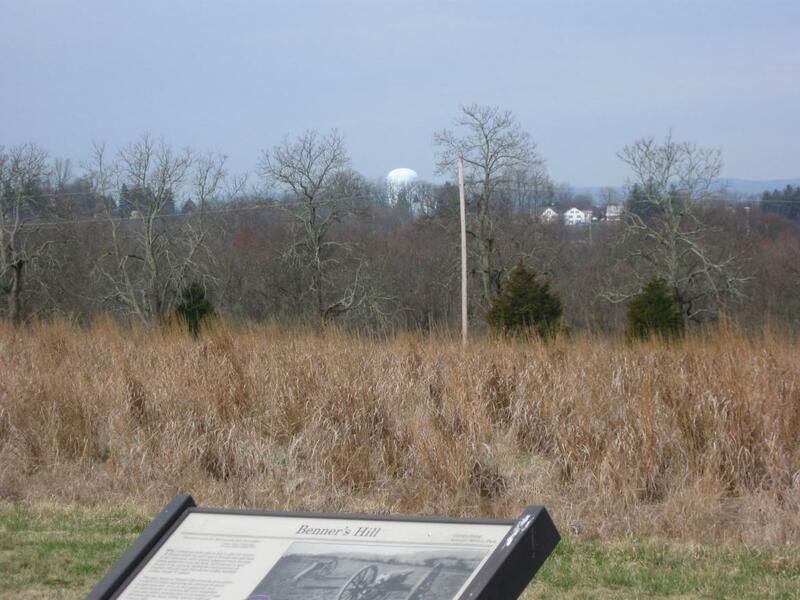 On the east side of Benner’s Hill is a bowl-like or saucer-like depression that we will be discussing in the next Benner’s Hill post. This view was taken facing north at approximately 9:00 AM on Friday, April 10, 2009.